In other news I have just been recuperating at home getting my strength back and pottering about. At the start of the year I put y flat on the market and it has sold so I will be moving at the end of march but just around the corner from where I am now but to a bigger flat which I am looking forward to so need to do some clearing out and organising for that!!! Im keeping myself occupied just now with various bits and pieces. I have a wee project I am working on for the SPEAK Asthma group I help run which for me is moving into unknown territory as needing to get patent advice and business advice. I am not the most business minded so exploring all this is a learning curve but I have the time to spend looking into it all while I am not at work. I would be going stir crazy otherwise. I go to the Dr tomorrow to find out how long I need to be off before I can go back to work. I desperately want to go back soon but fear they may not let me due to back to back admissions and being so unwell when in hospital. I also think I have a bit of steroid myopathy of sorts as my legs feel much weaker. I am not sure if this is just from all thats happened and will recover or it is myopathy so going to speak to the Dr tomorrow and see what is said. 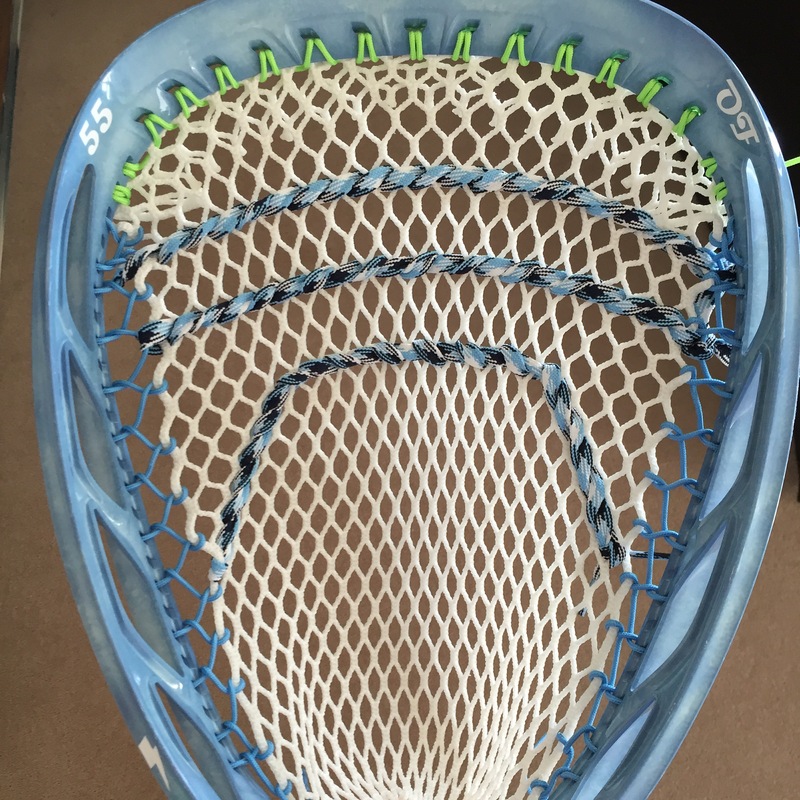 I have also been spending time restringing lacrosse sticks which I find really therapeutic and can spend ages trying to perfect a stick. I am still learning how to string properly so it takes a while but seeing the end result is great and I really enjoy it! This is what I did today. No wonder asthmatics don’t go to hospital early!